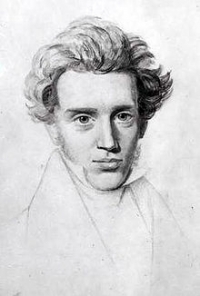 One hundred and fifty years ago Soren Kierkegaard emerged as a significant critic of the developing “Great Awakening” sweeping Europe and North America. A philosopher and theologian, Kierkegaard was deeply disturbed by the growing influence of evidence-based or ‘provable’ science over religion and culture. Matters previously held by faith and mystery now needed physical evidence and proven fact to be accepted not just as knowledge but as truth. As one of the founders of existentialism, Kierkegaard introduced the concept of objective truth and subjective truth. Objective truth was a stated truth which had not been applied in any actual situations or relationships. Today, we might refer to this as a ‘cold, hard fact’. The more important concept to Kierkegaard, however, was subjective truth. Subjective truth was that truth which one experienced and understood. For Kierkegaard truth had more to do with one’s experience then provable facts. Since Kierkegaard’s time, culture and religion (I speak here primarily of Christianity) have not veered too far from the path of establishing objective truth and ignoring subjective truth. If one were to step into most churches across our land, it would not take long before one would hear the phrase “ultimate truth” uttered concerning this matter, or that doctrine, or some dogma. But this focus on ultimate truth is not limited to religious settings; our culture is once again enraptured with the idea of ultimate truth. It seems many are so mesmerized with ultimate truth that they would rather destroy the fabric of a nation, then to explore the slightest possibility that truth is experienced in different ways by different people in different ethnic groups in different parts of our nation (let alone our world). One of the many gifts existentialism brings to our society and our globe today is the talent of examining truth from various perspectives and angles. The basic tenets of existentialism provide the foundation for conversation and understanding of one another and one another’s experience and perspective. Existentialism opens the door to walking along side another, and immersing oneself in the other’s world in order to appreciate the others perception and involvement with the world. It is imperative that those who practice existentialism as a life philosophy and a mode of therapy step forward to help our clients and our society in developing the perspective of subjective truth. I am transitioning into psychology as a second career (well, third career really, but I digress). My transitional job is in a workforce center providing training in job search skills. The people I see each day are losing their homes, their cars, their savings and retirement; but more importantly they are losing their hope. They are an angry, frustrated, bewildered people wondering if anyone is going to listen to their story. Many of them are numb to the idea that anyone cares about their situation, they just want someone to listen. They want, and need, someone to take them seriously. They want someone to know they are not lazy, unskilled, and indifferent to finding employment. Many of them held steady employment over the last 20, 25, or even 30 years. They paid their mortgage on time, they managed their debt well, and they saved money. Now it seems all for naught. These individuals with no income, home, and sometimes food no longer have the energy or the desire to fight the politicians and groups who regard their situation as one of their own making. I receive no greater appreciation than the words of thanks and amazement for listening to them. When truth is reduced to a singular objective or ultimate truth it is very easy to marginalize people and situations. Effortlessly a person’s identity or a group’s uniqueness can be dismissed as being “outside the norm” or an “outlier” to truth. An issue or problem is reduced to a simplistic metaphor, and solutions are made to look straightforward and trouble-free. But the fact of the matter is that very few problems are simple, very few issues have a straightforward solution. Each new issue brings with it a complexity of elements which have contributed to the present problem. Offering simple solutions to complex problems only demonstrates ignorance and lack of insight. Kierkegaard believed his purpose in life was to make the simple complex (my paraphrase). By that he did not mean taking something easily understood and making it confusing. Rather, he wanted to show his world that much of life could not be reduced to evidence, facts, and basic knowledge. Many of the cultural issues present during Kierkegaard’s time remain present today. How do we deal with change? What do we do with new information on an existing subject? How do we deal with conflicting data and experience? What do we do with differing, new, or even strange perspectives? These and many other questions are at the heart of the ethnic bias, sexual imperialism, and monetary manipulation with which we are confronted today. Our clients, our culture, and our world are ready for a new breed of people and leaders who are willing to hear their experience and perspective as truth!